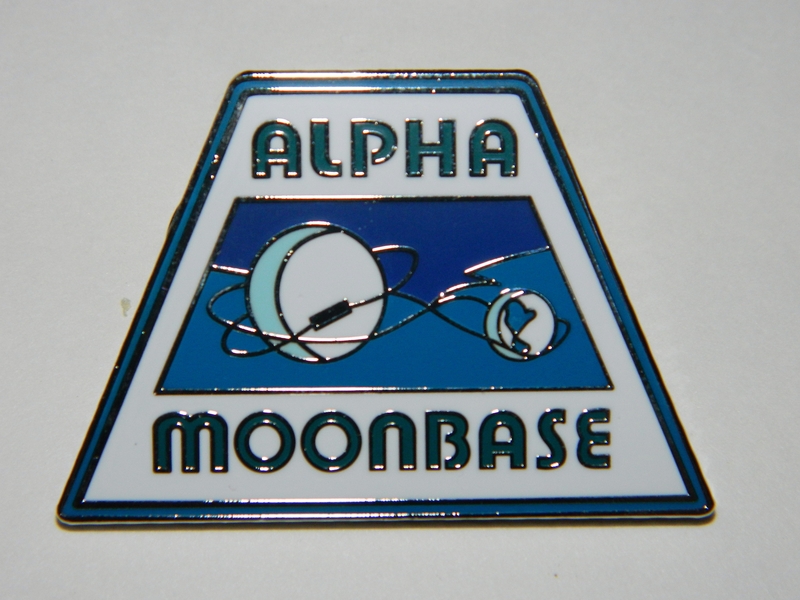 This pin is the logo of Alpha Moonbase on Earth’s moon, as seen in the now cult sci-fi TV series, `Space 1999′. 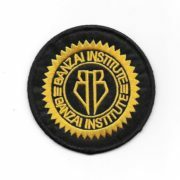 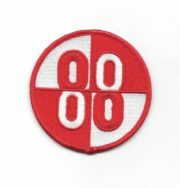 This is a screen accurate pin version of the patch worn on the uniforms in the TV series. 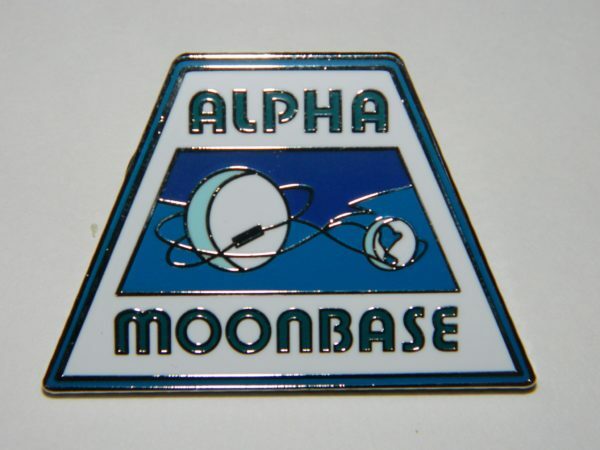 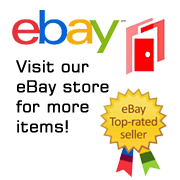 (we offer the patch in a separate listing) This is a near mint, unused copy of this enamel metal pin, measuring 1.75″ wide and it is stored in a smoke and pet free environment.